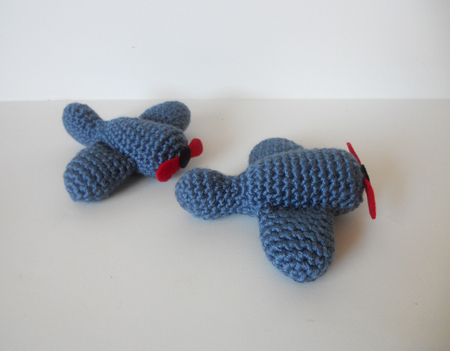 I had promised that I would upload more free patterns this year, so here is one to make a really cute little airplane. 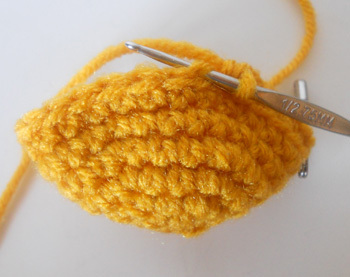 The plane is about 4 inch long, crocheted with Caron Simply Soft yarn and a 2.75mm hook. 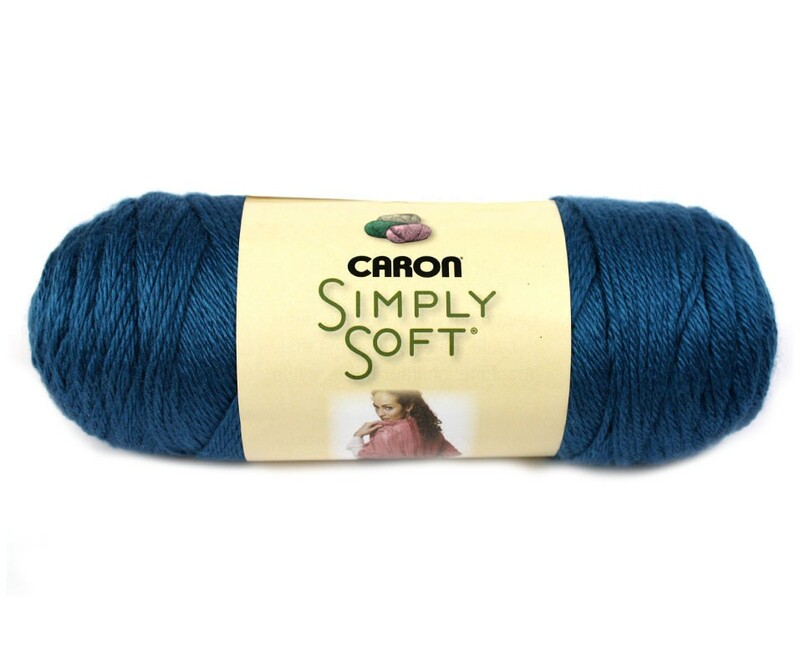 I recommend this yarn or similar because the thread is a bit thinner even though it is a medium/4 worsted yarn. If you use another brand it’s fine, the plane will just turn out a little larger. This ornament is crocheted in continuous spirals without joining the rounds. The size is approx. 4 inch long. 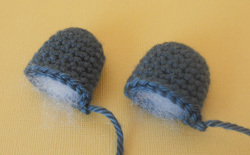 With blue yarn, make a ch. of 4 st.
Fasten off. Embroider the thread in the stitches of the last row to close the hole. Fasten off, and leave a long tail for sewing. Stuff them but not too much, you want the wings to remain flat, and not round. Position the wings on each side of the plane and pin them with needles. Sew around using the stitches of the wing and plane to attach them together. Weave in loose end. Insert the needle in one of the stitches of the plane, then in one of the stitches of the wings. Continue all the way around. Make sure that both wings are leveled. 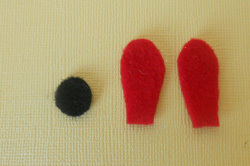 Cut two piece of red felt in the shape of propellers, about 1 inch long. Cut a circle in black felt. Glue the propellers first to the front of the plane, then the circle on top of them. Voila! your little airplane is ready to take off. I hope you enjoyed this pattern, and if you have any questions don’t hesitate to ask me in the comments box below. I don’t know about you but it’s already summer in my part of the world. 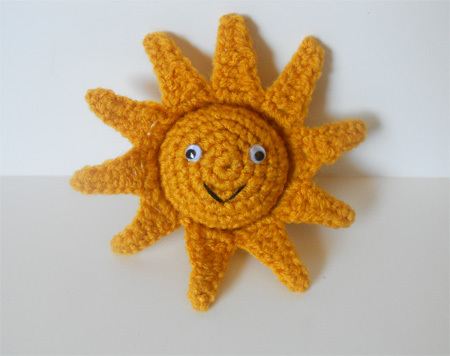 It’s only a few weeks away from summer anyway, and to celebrate my favorite season of the year, I decided to post a pattern to make a cute 3d sun that you can use as a decoration, or warm up your days if summer has not arrived in your neck of the woods yet. The kids will love it! 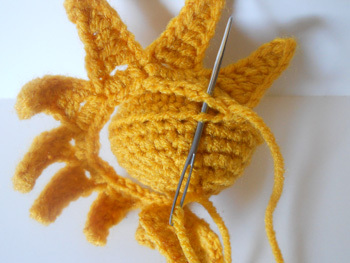 – Fasten off, cut the yarn and weave in the remaining thread in the stitches to close the hole. Front and side view of the ball. ch 1, 3 sc in edge of each triangle (30 sc). Fasten off, and leave a long tail for sewing. Use some iron spray starch to uncurl the triangles. Once dry, you can sew them around the ball using the front stitches of both parts. weave in loose ends. Sew around using front loop only. Glue the googly eyes. and embroider the mouth with some brow yarn or embroidery thread. Voila! 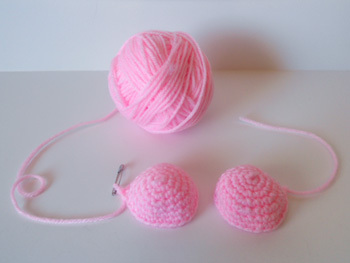 You can use a hook or attach a piece of yarn on top to hang it. I hope you enjoyed this pattern, and if you find any errors don’t hesitate to let me know! 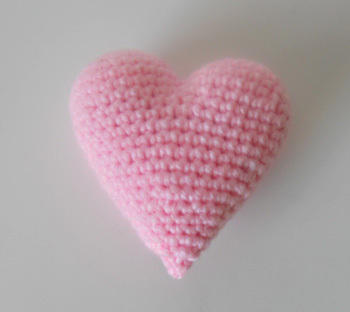 Last month I had published a post about heart ornaments I had crocheted for a friend of mine. I had made a promise that I would publish the pattern on my blog by the time Valentine’s day would be just around the corner, so here it is, my Valentine’s Heart pattern. It is very easy and as usual, doesn’t take long to make. Enjoy! The heart is about 3 1/2 inches. It is decorated with a ribbon and a rose, but it can be used as a base for any kind of decoration. 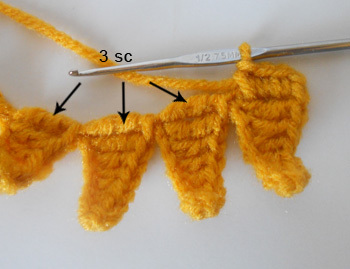 Do not cut the thread from the yarn when you finish the second bun, you will slip stitch with the first bun. Attach the two buns together with 4 sl st. The row start at the next stitch. Put a stitch marker at last stitch to mark the end of the row. Start stuffing, and continue along the way. Fasten off, leave a long tail for sewing. 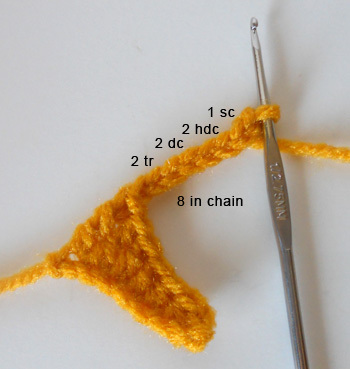 With a yarn needle, close the hole by inserting the thread in the remaining stitches. – Option 1: Cut a piece of pink ribbon, make a bow and glue to the heart. 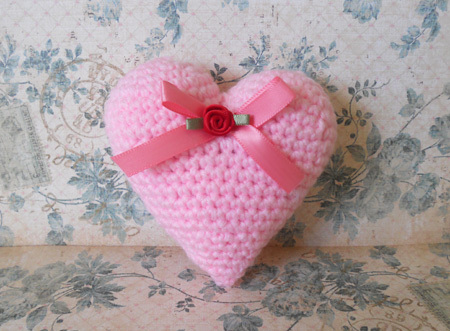 – Option 2: Insert the ribbon between to stitches of the heart using a yarn needle, then make the bow. – Glue the flower on the ribbon. This is a very cute gift for your loved ones! Voila! I hope you enjoyed this pattern, let me know if you have any questions, or if you like this pattern. 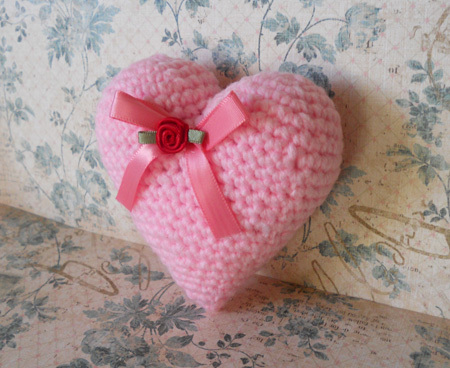 My next post will be about different ideas to decorate a heart, using the same pattern.